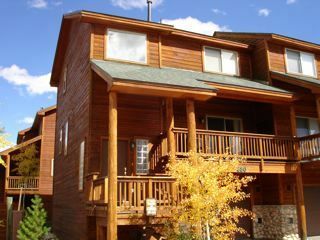 3 bedroom, 3.5 bath townhome overlooking the Blue River and the Williams Fork mountain range beyond. You'll love the access to Gold Medal waters and the Blue River Recreation Trail just steps from the home. 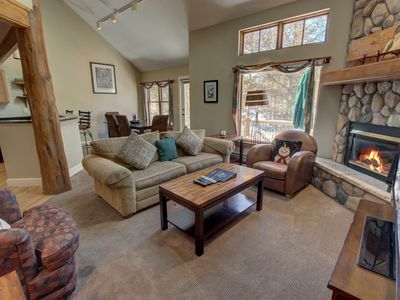 Riverside Retreat offers you a great location, high-end furnishings and a million-dollar view. 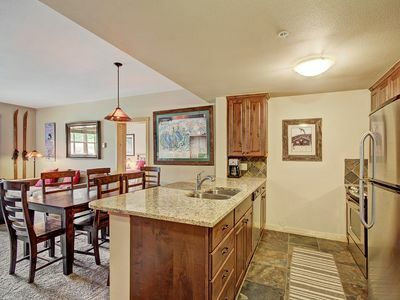 The townhome has a private hot tub within sight and sound of the Blue River, W/D, 1 car garage, sleeps 8. 4 night minimum stay required during off-peak rate periods, 5 night minimum stay during holiday and peak winter rate periods. 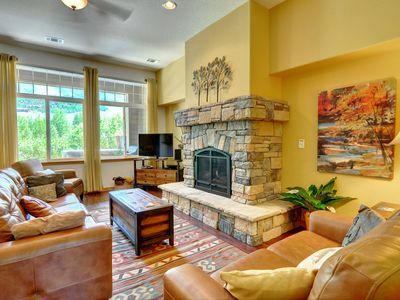 NO SMOKING, NO ANIMALS, RENTER MUST BE 25 OR OLDER.Riverside Retreat Townhome will be your home away from home. 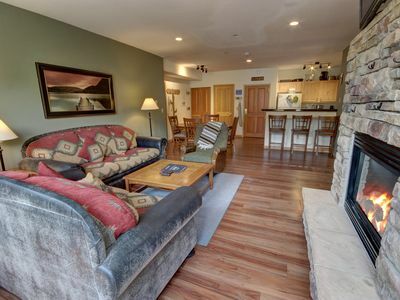 . . set up to accommodate up to 8 people comfortably! The property is on 2 levels with the kitchen, dining area, living room, half bath, laundry room and garage on the ground floor. 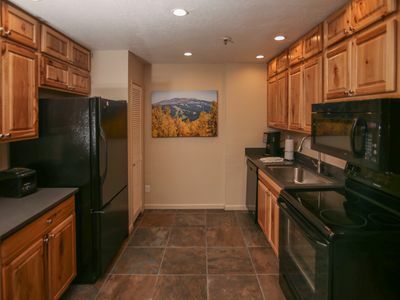 The back patio off the dining area has a large private hot tub and a deep unfenced yard ending at the Blue River Recreation Trail and Blue River beyond. Upstairs on the second floor, there are 3 nice sized bedrooms, each with its own bathroom. 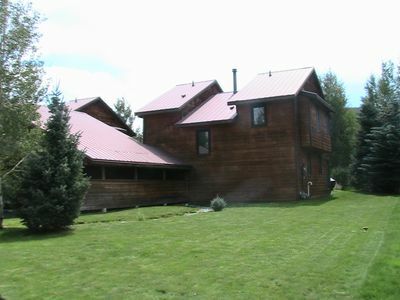 The master bedroom has a king size bed, a large flat screen TV and a bathroom with a huge bathtub and a walk-in shower. The second bedroom features a queen size bed and the third bedroom has a queen bed plus a set of twin bunk beds. The Blue River Recreation Trail and Gold Medal designated fishing are only a few steps out the back door. 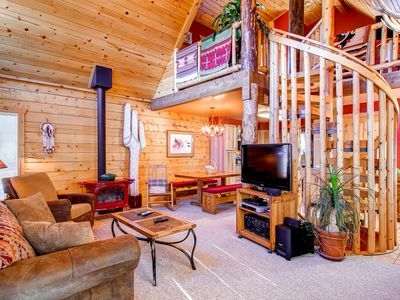 Whether you enjoy hiking, fishing, skiing/riding, ice skating or biking, this beautiful townhome is central to all activities. Visit www.twinseasons.com/policies to read important information before booking this property. By booking with Twin Seasons Vacations you agree to the policies and the terms of our rental agreement. RESTRICTIONS:The minimum age limit to rent is 25. Guests under the age of 25 must be accompanied by a parent or guardian at all times. 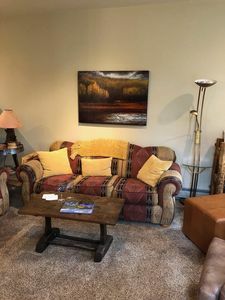 This is a nonsmoking residence: Absolutely no smoking is allowed at this property and there will be a minimum charge of $250 against the renter’s credit card for remediation if there is any evidence of smoking in the house. We love animals, but due to homeowner association deed restrictions, animals are not allowed by renters nor their guests. The layout of the home makes it difficult for those with mobility impairments. Please note: immediately following all online bookings, we will verify contact information and the renter's agreement to follow house rules and restrictions prior to our issuance of a final confirmation. The verification will be in the form of a telephone call or email. We reserve the right to cancel during this process, especially if the renter does not respond to our direct contact. The full capacity assumes 2 in the master bedroom, 2 in the queen in the second bedroom, and 4 in the third room's queen bed and bunk beds. Dan said…Awesome! 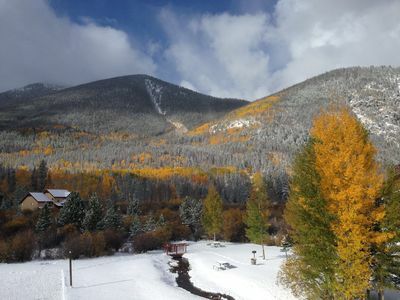 -- ★ ★ ★ ★ ★Date of stay: FebruaryGreat townhouse in Silverthorne. 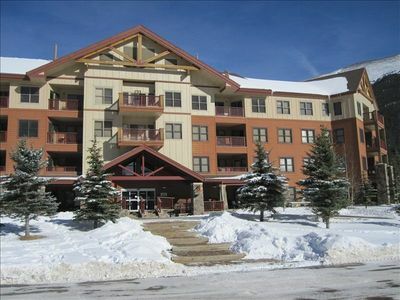 Accommodations were very nice and the booking process was extremely easy. I would definitely stay here again! 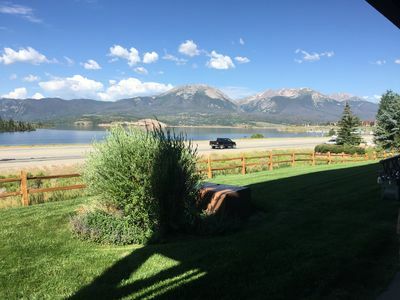 Gina G. said…Beautiful views from the hot tub and the sound of the river flowing was awesome! - ★ ★ ★ ★ ★Date of stay: December 2016The property is well equipped and is located in a beautiful spot! Monique L. said...Wonderful! - ★ ★ ★ ★ ★Date of stay: December 2016This townhouse was perfect. It was decorated beautifully and provided everything that we needed. The view was beautiful and the walking path along the river was such a relaxing stroll. Very close to Keystone, Copper and Breckenridge. We enjoyed it so much, we plan to research purchase opportunities. We would rent this again!! Thank you! !